A full youthful lip is a hallmark of a beautiful face. But as time passes, a frown can develop, less of the upper teeth shows, and the lips become smaller. If sun damage or smoking play a role, that process occurs even faster. Dr. Moelleken frequently consults with patients in his Beverly Hills and Santa Barbara, California offices for issues of lip enhancement or rejuvenation. Patients are often surprised that there are literally almost a dozen procedures, from simple injections to more complex lip enhancements that can be performed! Many of these procedures are novel, some innovated by Dr. Moelleken. This is the simplest level. Corners of the lips, entire lips, mucosal enhancement, vermillion enhancement, marionette enhancement, perioral enhancement are all areas to be considered. Dermal fillers can give patients who are not interested in having an invasive procedure a nice ‘pick me up’ without having to undergo surgery. There are a number of lip lift techniques that can be employed to enhance the appearance of the lip region. Depending on the patient’s surgical goals, lip lift surgery can be performed on its own, or as one component of Dr. Moelleken’s signature 360 Facelift procedure. Subnasal Lip Lift (bullhorn lift): often performed in conjunction with the LA Lip Graft, this procedure is ideally suited for patients with long upper lips, meaning that the non-red portion of lip below the nose is excessively long, or has become too long over time. The Bull Horn lip lift involves a lifting maneuver that causes the red lip to out-roll, thereby creating a more ‘pouty’ appearance with increased red lip show. 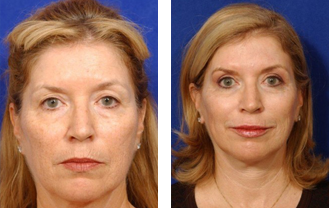 The subnasal lip lift shortens the lip-to-nose ratio and creates a wider smile with improved tooth show.This technique is very surgeon dependent, and a conservative, very meticulous approach is best. Lip border lift: an alternative technique to enhance the appearance of thin lips, the lip border lift involves the removal of excess skin above the border of the red lip and cutaneous lip, in order to advance the red lip upward and improve red lip show. This is a poor technique and should not, in Dr. Moelleken’s opinion, be routinely used. Corner Lip Lift: designed to lift otherwise drooping outer corner (or corners) of the mouth, the Corner Lip Lift involves the removal of a sliver of skin at both of the oral commissures (corners of the mouth). 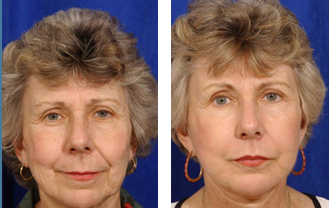 The goal of this technique is to elevate chronically down-turned corners of the mouth, which can significantly detract from the patient’s facial aesthetics and can create the appearance of a permanently sad or angry look. DAO (depressor anguli oris) Release: also referred to as an inner corner lip lift, this procedure can be performed to minimize the appearance of frowning, and is also an appropriate option for younger patients whose outer lip corners are drooping, but who do not yet present with any folding, skin sagging, or wrinkling below the corners of the mouth. Dr. Moelleken has innovated a method for performing this procedure without in intraoral incision or long incision. For patients who would benefit from a complete rejuvenation of the lip region, Dr. Moelleken may recommend ancillary procedures, such as his signature LA Lip Graft,® which uses his trademarked LiveFill® technique to restore depleted volume to the lip area, thereby improving the appearance of the sublabial cleft, prominent marionette lines, and/or the corners of the lips. When performing any of these lip lift techniques, Dr. Moelleken takes great care to avoid making incisions at the vermillion border itself, as incisions made in this area tend to scar poorly. 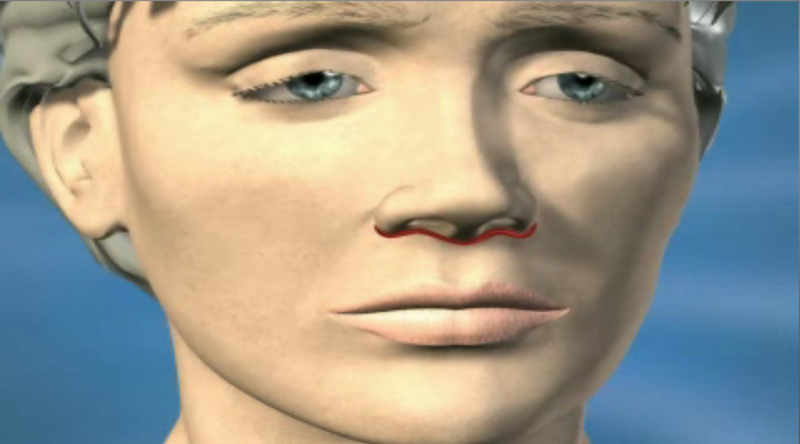 Any incisions are carefully placed to optimize concealment within the creases between the nose and the upper lip. Lip lift surgery can be performed under local anesthesia, IV sedation, or general anesthesia, and takes less than one hour when performed as a solo procedure. More often, patients combine facial procedures such as the 360 Facelift, including NeckLace neck lift and many ancillary procedures. These can be safely combined and every patient contemplating a facelift should also carefully consider which ancillary procedure may complete their appearance. Following lip lift surgery, most patients are able to return to work within 7 days, and resume most of their normal activities after approximately 10 days. Although lip lift recovery is generally very comfortable with minimal pain, patients may experience swelling of the lips that can take several weeks to fully subside, and bruising that typically resolves in 10-14 days (makeup can be used to help conceal most post-procedural bruising). Dr. Moelleken of Moelleken Plastic Surgery strives to customize each and every procedure to the patient’s individual needs. Patients with complex issues such as facial paralysis, prior unsuccessful surgery, existing injury or scarring, etc. will require a carefully customized program.